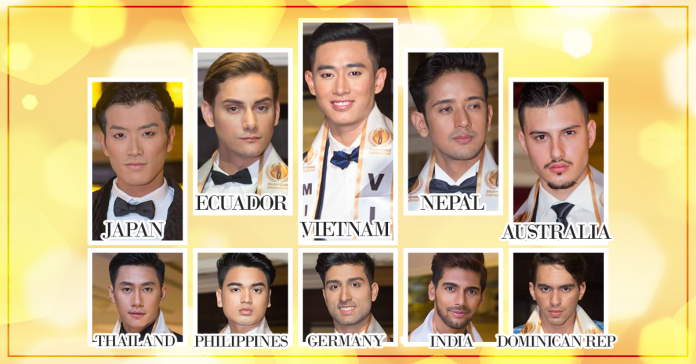 The inagural Mister Grand International pageant will take place on Friday, October 6 at The Crossroad Center in Quezon City. 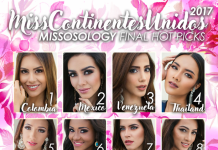 Who among the 25 contestants are most likely to walk away with the title? Here’s out final hot picks. Leading our list is Nguyen Tien Dat of Vietnam. He is a familiar face among pageant fans as he previously competed at the 11th Mister International in Bangkok, Thailand and even placed in the Top 6. Tien Dat’s experience is what sets him apart from the rest of the candidates. He is professional both on and off the stage. His popularity among fans will also help the organization in promoting its advocacy. Abel Adrian Diaz of Ecuador is in second place. His handsome face and great physique are hard to miss. If not Vietnam, Abel is the next best choice for the title. Another pageant veteran is Nepal’s Dikpal Karki. He was a Top 10 finalist in Mister Global 2016. He showed marked improvement since he first joined a pageant. His gift of gab will be his biggest advantage come finale. Japan’s Riku Yuasa and Australia’s Michael Angelo Skyllas complete our Top 5.